Tree: London Planes can reach 65-115 ft. in height and anywhere from 3-5 ft. in diameter. 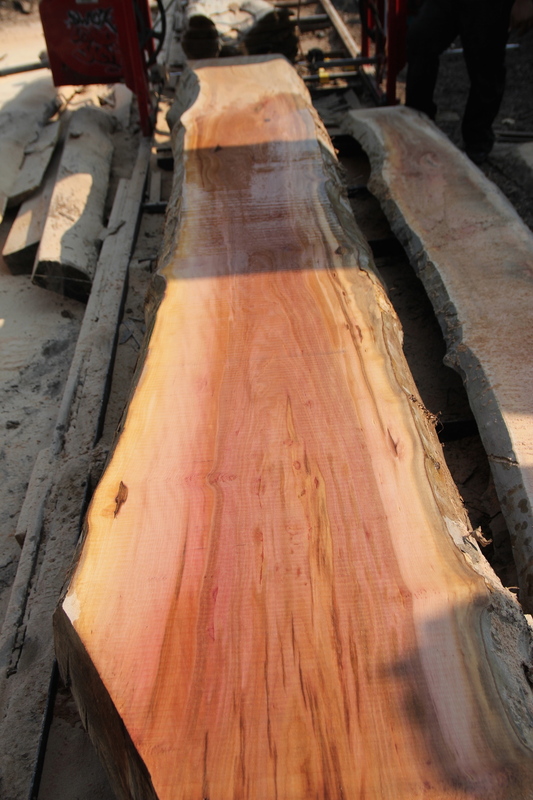 Wood: Sapwood is white to light pinkish tan and the heartwood is a darker reddish brown. It also has very distinct ray flecks present on quarter sawn surfaces giving it a freckled appearance. The grain is usually very straight and has a fine and even texture which is very similar to maple. Working Properties: Works easily with both hand and machine tools. It turns, glues and finishes well. Uses: Veneer, plywood, interior trim, flooring, furniture, carvings and other speciality wood objects. Special Note: 480 London Plane trees were taken down because of a weakened root system from Super Storm Sandy. NYCitySlab was able to save 20 London Planes from the LES Waterfront Park. 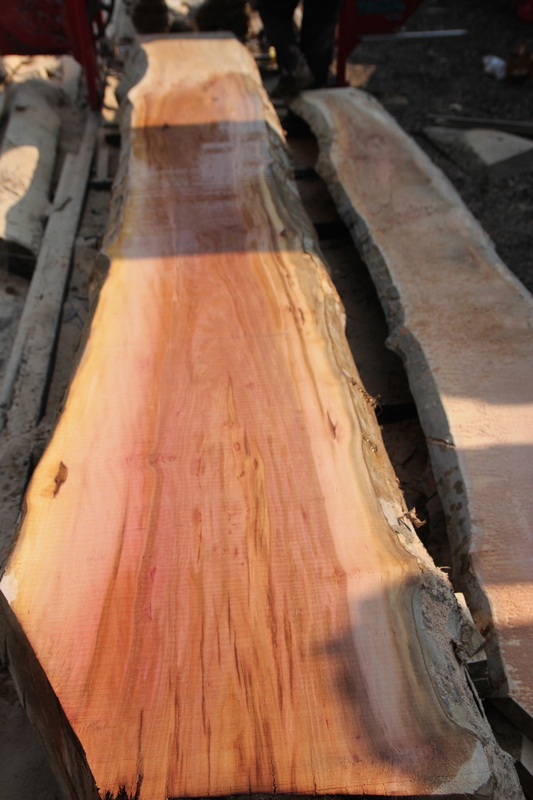 We are currently milling these trees and will post the details soon.